The first thing I would like to speak about is the relationship between Cardiology and the Emergency Department, and the unavoidable changes encountered over the last few years. point in the patient’s illness. Prompt recognition and treatment is essential for acutely unwell cardiac patients. We are always taught that ‘time is myocardium’, and it’s true: a delay in treating a patient with an acute myocardial infarction means heart muscle will die. It is consistent across other cardiac disease states: ventricular tachycardia is an inherently unstable situation, and patients will not tolerate it for long if untreated. We have all seen the distress a patient encounters in acute pulmonary oedema, and how rapidly it can become fatal if not managed appropriately and promptly. But the clinicians who ought to be best suited to treating these patients are being taken further and further away from frontline assessment and emergency treatment. Cardiac services have changed radically over the last ten years, with the increasing adoption of primary angioplasty services and sequential subspecialisation. Importantly, this is a good thing: patient outcomes have been improved by these new systems and processes. But it leaves an important gap that must be filled. 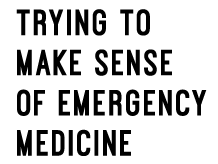 And it must be filled by Emergency Medicine, as this is the domain where these patients are often first assessed and treated. The interface between the ED and Cardiology is now more important than ever, and it is crucial that junior ED staff feel empowered to confidently manage these patients. There is no place for protecting your patch. Doctors from the ED and acute medical teams often tell me they think Cardiology is shrouded in mystery these days. On our rounds we make decisions on patients and it is not always clear why one patient with a raised troponin is managed conservatively, and another with normal cardiac enzymes is rushed to the cath lab. We should be vocalising our decision-making processes and imparting as much as we can in terms of knowledge and skills to the emergency clinicians tasked with managing these patients in those vital first hours after presentation. I am sure this is not a situation that is unique to Cardiology, but I feel it is crucial for us to provide information and education upstream, so that frontline doctors feel better equipped to manage these acutely unwell patients. I will touch on acute coronary syndromes in this post. This is the most frequent cardiac problem encountered in the ED, and I hope that the post will help junior emergency doctors feel confident managing these patients and, crucially, help in your liaisons with the Cardiologists in your hospital. When I say patient with chest pain… I really mean a patient with suspected acute coronary syndrome, as I am sure I don’t need to discuss the differential diagnosis of chest pain – or that I’m the best placed to do so regardless. There is a lot to think about when assessing and managing patients with a suspected ACS. The spectrum of presentation is huge. Just because many patients with ACS appear ‘well’ from the end of the bed, it does not mean we can become complacent in treating them. Patients suffering acute myocardial infarctions can deteriorate rapidly, and early recognition, risk stratification and management is essential. Talking through the overall assessment and management of ACS patients is difficult. There is no easy algorithm to follow – you can’t always start with a detailed history, because sometimes you don’t have time to. Is the patient still in pain? What is the haemodynamic status of the patient? What does the 12-lead ECG show? Is there any clinical evidence of heart failure? Have there been any associated arrythmias so far? The reason these are the essential starting points – above the full history – is they govern the next steps in management, at a point when time cannot be lost. If there are no immediately concerning features when you work through this list (i.e. 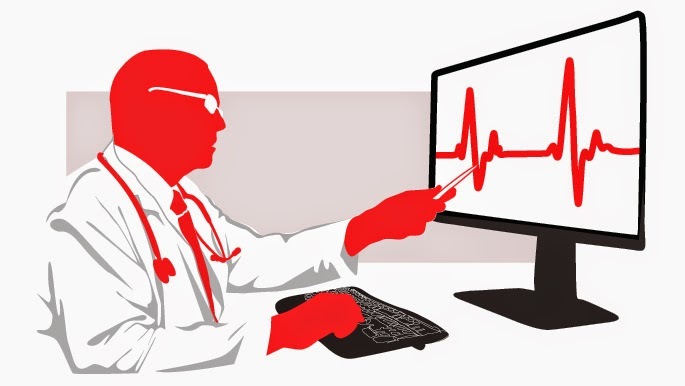 pain-free, good blood pressure, no significant ST segment deviation, no heart failure, sinus rhythm) then you have time to take a proper history and make a more comprehensive assessment. If any of the above features are obviously in play, then you need to think about immediately involving Cardiology with a view to deciding if the patient needs to go straight to the cath lab. So let’s assume you have some time to get a proper history. As we all know, the history is not always helpful. Sometimes patients can’t volunteer the salient points we want to extract. But get what you can. The characteristic of the pain: this isn’t something to live or die on, but it can be useful. We all know the typical description of pain this is supposed to represent myocardial ischaemia (crushing central chest pain, radiating to the jaw or left arm, associated with breathlessness and nausea or vomiting). But many patients with severe coronary disease have atypical symptoms. So you can’t rely on this entirely, and don’t be fooled by thinking you can. The timing of the pain: How long has the patient been in pain for? Is this the first ever episode of pain, or has it happened before? What was the patient doing? Was it on exertion or at rest? Exertional pain suggests a more stable situation than pain at rest. Established history of coronary disease: Has the patient had an infarct before? Have they had a bypass or previous PCI? Is the presentation now similar to previous presentations with proven ACS? Risk factors for coronary disease: smoking, diabetes, hypertension, lipid disease. This is obviously crucial. But don’t make the mistake of divorcing the clinical assessment of the patient from the ECG. Looking at the patient can often tell you if they’re having an infarct. Subtle ST changes in a young patient with only a few seconds atypical pain and no risk factors is unlikely to represent a STEMI. I interpret ECGs in a very, very simple way. I describe them in a similar way. Telling someone over the phone the ECG shows ‘an inferior NSTEMI’ is not very helpful; neither is stating that it shows a ‘junctional bradycardia’. Far more useful is actually describing the ECG so the person on the other side of the phone knows, as far as possible, exactly what you are looking at (so better to say something like ‘sinus rhythm with deep T wave inversion in V1-V4’; or ‘bradycardic at 35 bpm, regular, no visible p waves, narrow QRS’). Fast, slow or pretty much normal? Are p waves clearly and consistently visible and what is their relation to the QRS complexes? What do the ST segments and T waves show? Is there ST elevation, ST depression, or T wave inversion? Do these changes respect a coronary artery territory? changing ECG is the hallmark of ischaemia. By building up the ECG like this, you will be able to accurately delineate the abnormalities and – crucially – describe them to somebody clearly over the phone. If it’s barndoor, massive ST elevation then you probably don’t need to worry about going through every point, but it’s a good habit to get into. So there are obvious abnormalities here. PR interval is not-applicable, due to the above. There is significant ST elevation in II, III and aVF with ST depression in I and aVL. There is also some more subtle ST elevation in V5 and V6. If you were confident in interpreting ECGs by glancing at them you could just say that this shows inferolateral ST elevation with complete heart block and an unreliable ventricular escape rhythm. But if not you can build up a fuller interpretation by being systematic. Inferior ST elevation with some lateral changes. Bradycardia. Regular. Visible p waves but no relationship between p and QRS. Broad QRS. There is significant ST elevation in V1-V3 with ST depression in V4-V6, II, III and aVF. If you were confident in interpreting ECGs by glancing at them you could just say that this shows anterior ST elevation with reciprocal inferolateral ST depression and a junctional rhythm. But again you can build that up by being systematic. Anterior ST elevation. Inferolateral ST depression. Regular, narrow complex, no p waves. 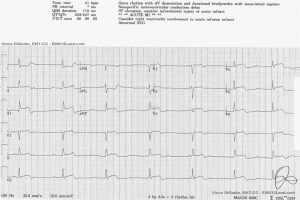 ST-elevation in aVR with global ST depression elsewhere – this often represents a stenosis in the left main stem and, with an appropriate clinical picture, suggests the patient may need urgent invasive management in the cath lab. ST-depression in V1-3 – this may represent a posterior STEMI and need to go straight to the lab. Deep T-wave inversion or biphasic T waves in V1-3 – this may represent a critical LAD stenosis and need to go to the lab urgently. Dynamic/changing ST segments or T waves. The first question you need to answer based on your assessments for far is whether the patient needs to go to the lab urgently. If you think so, do not delay in contacting Cardiology. Point-of-care echocardiography, for a broad assessment of LV function and regional compromise of the LV, is helpful if performed by somebody appropriately skilled and trained. If you have these skills, please do not withhold them as the information can be invaluable to us. Further treatment beyond this for a true ACS really ought to be undertaken by the Cardiologists, especially if the patient needs to go to the cath lab. to tell you that the patient ‘needs stabilising’ before being transferred to the lab then you must also fight against this. The only thing that will help these patients is getting the occluded vessel open. That’s it. This is important. You need to get the salient information across. You also need to know what we aren’t interested in. Don’t just tell us what the ECG shows. We do want a little bit of detail on the patient. Equally, in the middle of the night we don’t want to know exactly which statins the patient has been intolerant to over the last decade. The balance is admittedly difficult. What is the patient’s heart rate and blood pressure? Is the patient in pulmonary oedema? Does the patient have established history of coronary disease? and if so do you know when they last had their coronaries imaged or intervened on with stents/bypass? What are the risk factors for coronary disease? 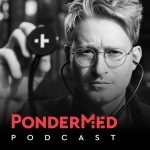 What treatment has the patient had in the ED? Has there been a point of care assessment of the LV function yet? Does the patient look like they are having an infarct from the end of the bed? The last point is key. 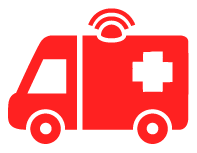 Emergency clinicians are used to dealing with sick patients. An end of the bed assessment as to how the patient looks generally is key for us when we cannot physically see the patient. Do they look like they’re having a heart attack, or are they lying there comfortably with an abnormal ECG? And that really is all the information that the Cardiologist could possibly want. It would take ten minutes to assimilate the information, and two minutes to relay it. By using the above reference points systematically, you will always be prepared for any questions you may be asked and you will always be supplying the pertinent information to the person who needs to decide on the next stages of management. 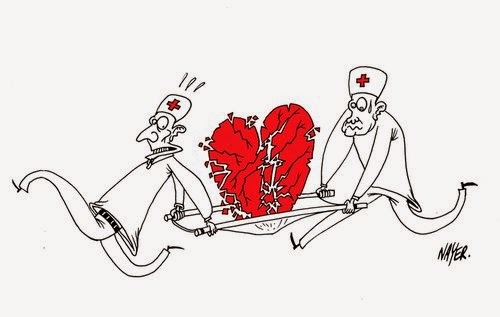 While Cardiologists become more subspecialised and move further away from the frontline, Cardiology itself and patients with acute cardiac disorders remain a huge contributor to the workload of the ED. The interface between Cardiology and Emergency Medicine is closer than ever, and more important than ever. Junior ED doctors need to be equipped to deal with these patients, and promptly recognise a sick Cardiology patient. Cardiologists can be difficult to refer to, but by maintaining first principles and approaching each aspect of the case systematically it is easy to build and portray a clear picture for the Cardiologist you are referring to. Emergencies in Cardiology (2 ed.). Edited by Saul G. Myerson, Robin P. Choudhury, and Andrew R. J. Mitchell. Oxford University Press. American College of Emergency Physicians; Society for Cardiovascular Angiography and Interventions, O’Gara PT, Kushner FG, Ascheim DD, et al. 2013 ACCF/AHA guideline for the management of ST-elevation myocardial infarction: a report of the American College of Cardiology Foundation/American Heart Association Task Force on Practice Guidelines. J Am Coll Cardiol. 2013 Jan 29;61(4):e78-140. 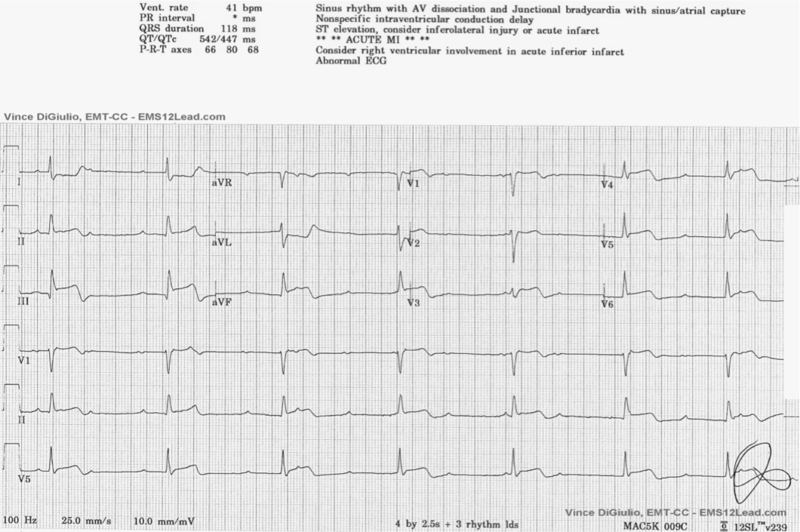 Rhinehardt J, Brady WJ, Perron AD, Mattu A. Electrocardiographic manifestations of Wellens’ syndrome. Am J Emerg Med. 2002 Nov;20(7):638-43. Dr. Yousif Ahmad (@narrowcomplex) is a Cardiology Specialty Registrar in London, predominantly working at the Hammersmith Hospital which is one of London’s eight ‘Heart Attack Centres’, offering a 24/7 primary angioplasty service and a ‘Primary Arrhythmia’ service. Yousif is currently involved in coronary physiology research, and is passionate about medical education. He is teaming up with Pondering EM for the ‘Paging the Cardiology Registrar’ series, which will equip the junior ED doctor with the nitty gritty for key cardiac presentations, and importantly, explain what our cardiology colleagues are really interested in when they receive a phone call from the ED.